APF 7 is a high temperature aerospace grade repair filler specifically formulated for use in components requiring above standard service temperatures. One interesting use of APF 7 is as a lightweight solution for pinhole filling, instead of adding multiple layers of paint to create a smooth aerodynamic finish. SCC talk about how APF 7 is best applied. With service temperatures up to 204°C and very high bond strength Axson’s APF 7 is a staple product for aircraft composite repairs, bonding and filling. APF 7 can be sanded, machined and shaped using a variety of hand and trim shop tools. APF 7 is a two part fast curing polyester resin and filler, used for aircraft manufacturing, repair and high performance situation where service temperatures can reach up to 204°C. The repair filler comes in white, grey and black for colour matching the substrate. It bonds readily to itself or other substrates such as carbon fibre/glass fibre/aramid reinforced plastic, high temperature epoxy molds, aluminum, steel, cast iron and urethane foam parts. This is great for composites in situation where metallic materials and carbon fibre composite are combined to create multi-functional components. And from a safety point of view APF 7 is non-metallic, non-conductive and non-sparking, which is great for aerospace applications. APF 7 comes as a two part mix of thixotropic polyester and hardener, mixed in a 100:2 ratio for approximately a 2-5 minute gel time depending on room temperature. All joints are prepared with a minimum P240 grit finish, thoroughly cleaned with compressed air and rubbed down with acetone and a lint free cloth. At SCC, we mix a fresh batch for every application using an onion board, to ensure that there is no contamination from foreign debris and that every application of the mixture is able to achieve its full cure on the composite rather than on than the mixing board. We predominantly use the black pigmented version of APF 7 due to the high degree of work we do involving carbon fibre composite. This provides a tidy jet black finish on the repairs, which can be over-painted, polished or bonded onto further. 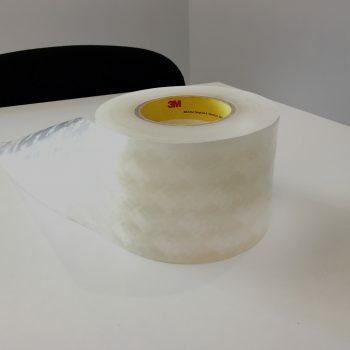 Generally even if other materials are specified on a job, like Dyneema/Ultra high Molecular Weight Polyethylene for example which comprises of a white fibre, it will more than likely come pre-impregnated with a black pigmented resin for the continuity of aesthetic. Once technician is happy with how the material has been applied, it will be allowed to cure at room temperature, then baked at 60°C if the job allows it, to ensure that the repair is fully bonded to the substrate and only then can the repair be further worked. Despite being predominantly used as a repair filler and bonding agent for composite applications APF 7 can also be used as a lightweight solution for resolving pinholes on composite surfaces. Due to its ultra-fine nature and ability to be pushed and worked into the substrate by hand Axson APF 7 can fill even the smallest of pin holes and be rubbed back to a smooth and uniform surface. This will only be done on request of our clients, as ideally all jobs are moulded pinhole-free. However, in certain cases where the work requires a certain degree of experimental judgement due to the cutting edge nature of our work, with Formula One clients especially; APF 7 can be a good option for achieving the lowest weight final result. This is especially true when compared to paint finishing to achieve a smooth aerodynamic finish. Axson’s APF 7 has a maximum service temperature of 204°C and very high bond strength, which exceeds the glass transition temperature of most medium temperature cure composites. It should be noted the however, the approaching its maximum temperature it does have a tenancy to show signs of discolouration. This is less visible with black pigmented version of the product but should be taken into consideration when specifying materials on repair work. If you’d like any more information on how we use Axson APF 7 Black for aerospace repair work, or if you’d like to use it in one of your future projects. Whether you’re a new or existing customer, give us a call and we’d be happy to help you find the best materials and processing method for your application. Click here to get in contact. 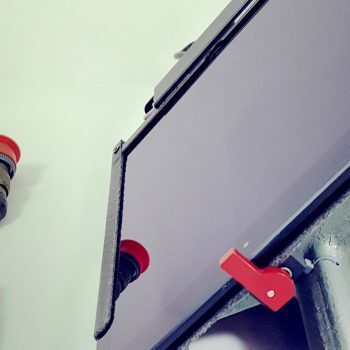 SCC Manufacture iPad Holder for Airline Pilot Heads-up Display.